LAS VEGAS—Home automation has a public relations problem: If the non-tech obsessed public views it at all, it views it as complicated, intimidating and possibly unnecessary. And home-automation technology is still in an emerging state, with many products still working out various kinks and tangles—understandable, maybe, but still frustrating for any person brave enough to give home-automation systems a try. 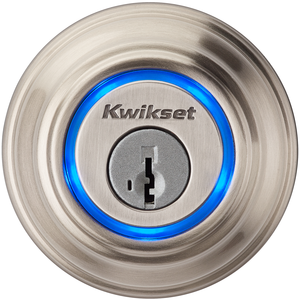 Kwikset's Kevo lock looks like a normal deadbolt, but it's actually a smart lock that lights up and unlocks when you tap it. However, people seem more likely to try out home-automation tech when it comes a la carte. Color-changing Bluetooth light bulbs and smart thermostats are good examples, and another area that’s on the rise seems to be smart locks. Each of these smart locks have slightly different features and advantages to make them appealing to consumers looking for smarter functionality at their front door—Okidokeys locks can be unlocked with either smart or feature phones, the Goji Smart Lock will not only greet you by name but will also send you a picture alert of who is at your front door, and the Kevo lock can recognize your phone as you approach and will unlock your door when you tap the lock. 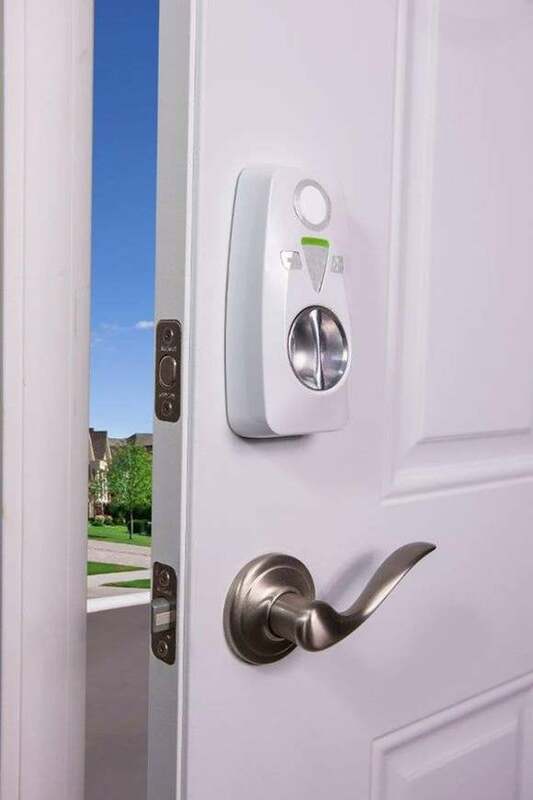 The Okidokeys lock, like most smart locks, uses Bluetooth, can generate temporary keys, and will even notify you when people lock or unlock your door. However, there are also similarities: Most of the locks I saw operated via battery power, most use Bluetooth functionality, almost all of them included the traditional key-and-lock structure into the device as well (and many also provide a key fob or alternate method of access for those who don’t have access to an app or web dashboard), most eschewed subscriptions or any fee-based services, almost every one featured a notification system of alerts via text or email, and more than one used “rules” or “modes” that are similar to IFTTT recipes. And this is where the smart lock trend is really poised to succeed—by addressing real-life use cases where the technology is truly needed. Airbnb hosts, for example, could provide guests with a digital key that can only be accessed during their stay (after which permission is revoked). Parents can receive notifications when their children arrive home from school, homeowners can give access on specific dates and times for the nanny, house cleaners, or even the plumber. If someone attempts to tamper with your lock or force entry into your house, you can receive alerts. Some of these smart locks will even recognize your presence (via your smartphone) and unlock your door for you. 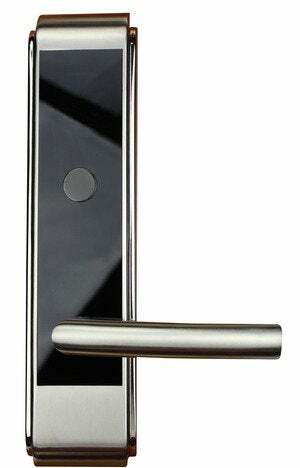 While some smart locks look pretty unremarkable, the iBlueOpen flaunts its 21st-century style. Home security is a huge concern, and by addressing the need for control and access in a simple manner, smart locks are ahead of the rest of the home-automation curve. I don’t know a ton of people who want cameras up in their home, but I know plenty who would love to be able to pull up an app and see if they locked their front door, or who would love to be able to let in their relatives while they’re still at work. There are a variety of styles available, too, from standard-looking locks (Kevo from Kwikset and UniKey looks almost exactly like a plain ol’ lock), to super sleek (the Goji is pretty gorgeous, and Okidokeys can be custom-painted to match your décor). A few years ago, almost no one wore fitness or activity trackers. These days, they’re popping up on wrists all over the place and shaping the face of the technology around us by influencing a slew of wearable tech. Looking at the advancements made by smart locks, it’s possible to see the same trajectory with home automation—given another three years of product testing, consumer adoption, and app upgrades and maybe lots of of us will find it funny to think back to the days where the only way we could get into our homes was using a tiny metal key.